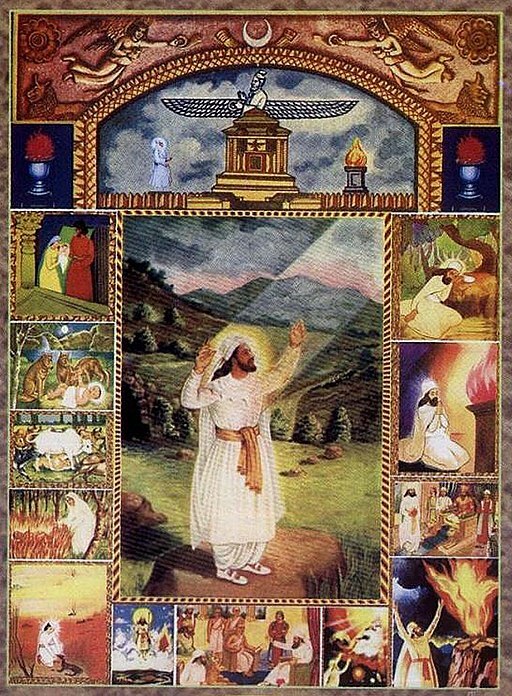 The most prominent and unique feature of ancient Iranian religion was the development of dualism, primarily expressed in the opposition of truth (arta) and falsehood (drug, drauga). Originally confined to ideas of social and natural order opposed by disorder and chaos, a dualistic ideology came to permeate all aspects of life. The pantheon was divided between the gods and demons. Especially under the influence of the magi, members of a priestly tribe of Median origin, the animal kingdom was divided into two classes: beneficent animals and noxious creatures. Even in vocabulary there developed a system of “ahuric” and “daivic” words for such things as body parts: for example, the word zasta was used for the hand of a righteous person and gava for the hand of an evil person. It is important to note that this was not a gnostic system, like those that flourished in the Middle East during the early centuries of the Common Era, as there was no myth of evil matter coming into being through the corruption and fall of a spiritual being.